Check out Latus Triumph Motorcycles in Gladstone, Oregon and find a new motorcycle. The 2019 Triumph Street Triple R features an explosive performance with agile handling for adventure seekers everywhere. With the new 2019 Triumph Street Triple R, drivers can now enjoy 80 new components that help you access the booming performance that this bike brings. The Triple R reaches its peak power with 114-horsepower and 57 pound-feet of torque @ 9400 rpm. Are you looking for a new bike? 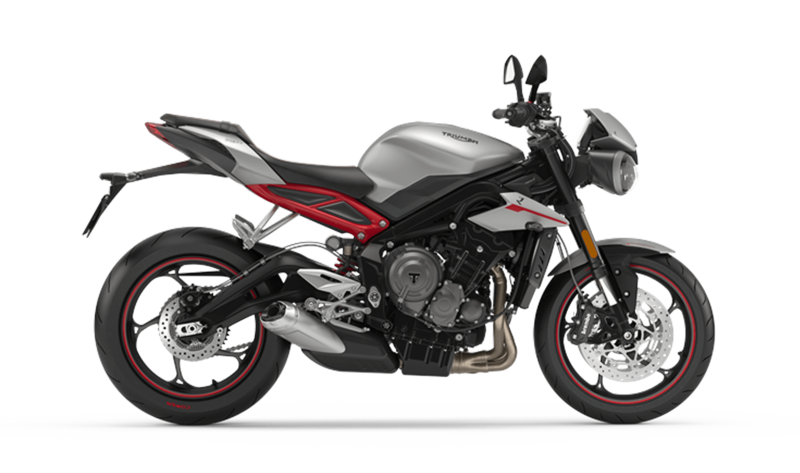 Test drive a 2019 Triumph Street Triple R in Gladstone, OR. Stop by and access the supremely innovative Street Triple R, features some crazy new technology features. The new Street Triple R provides Portland, OR with rider-focused technology, a 5" TFT instrument pack, and a new onboard computer. If you're excited about test driving this new bike, stop by our location and ask about our new Street Triple R model –– it always delivers optimized performance. We hope that motorcycle buyers stop by our dealership or website to see our secure online credit application. Our finance department is happy to help riders complete credit applications. It would be a pleasure to assist you as you explore the Street Triple R and its new features. We encourage you to explore our Trade-in Calculator, which generates a general appraisal online, which is an amount that you can put toward your bike loan. 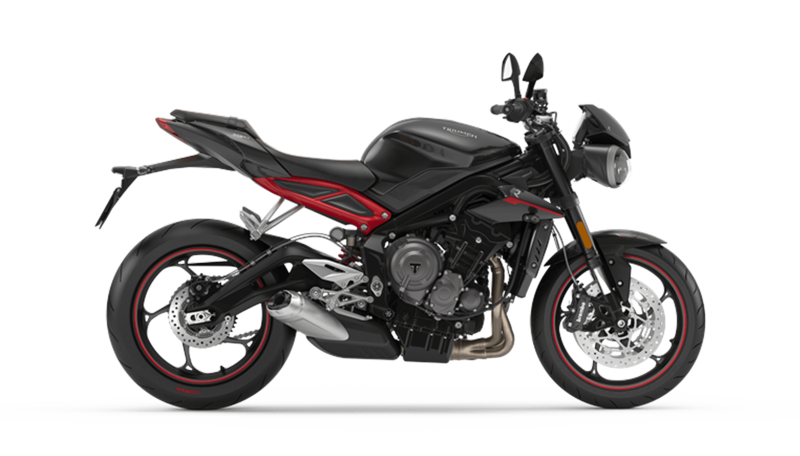 Ask our Latus Triumph team about exploring our newest Street Triple R bike inventory. 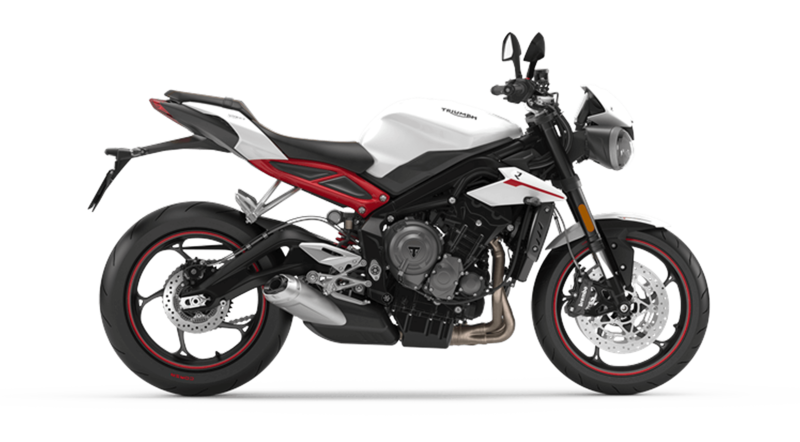 Our Triumph team members are all well-versed in all things Triumph, which means we can tell you a thing or two about the Street Triple R. If you have any questions, please contact our Latus Triumph Motorcycles now! Rear Suspension Showa piggyback reservoir monoshock, 134 mm rear wheel travel. Adjustable spring preload (lock-rings), compression damping and rebound damping.